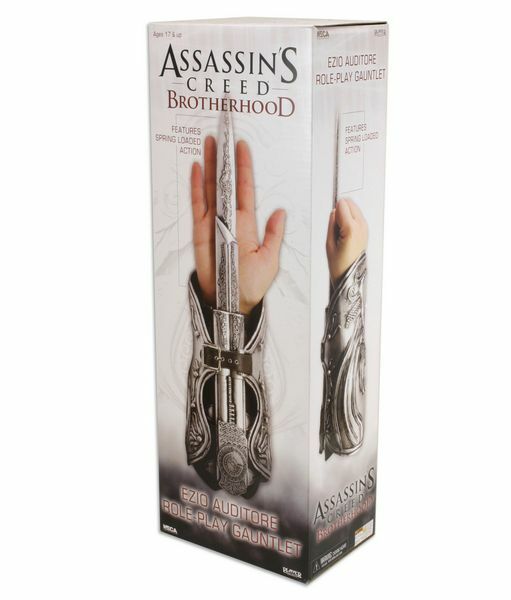 The Wait Is Over – Ezio Auditore’s Role-Play Gauntlet From Assassins’ Creed Available For Pre-Order! 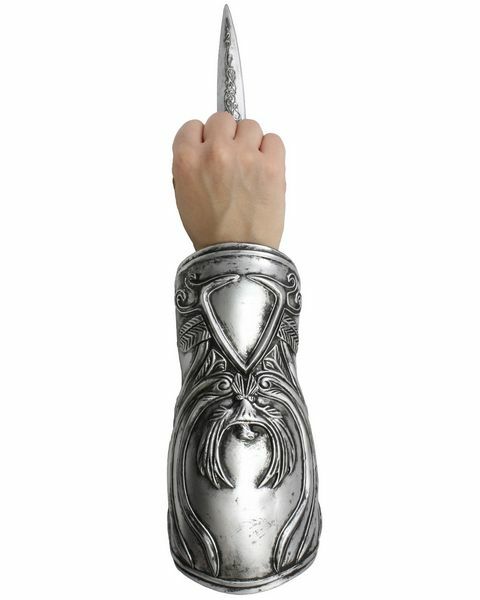 Ezio's Role-Play Gauntlet is Finally Available For Online Pre-Order! 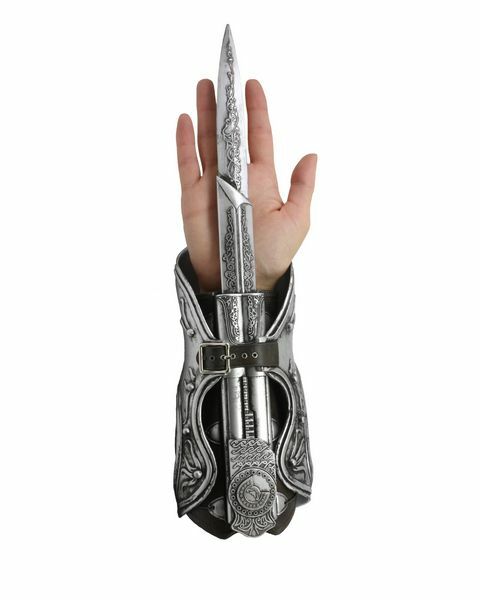 You are here: NECAOnline.com » Blog » News And Announcements » The Wait Is Over – Ezio Auditore’s Role-Play Gauntlet From Assassins’ Creed Available For Pre-Order! 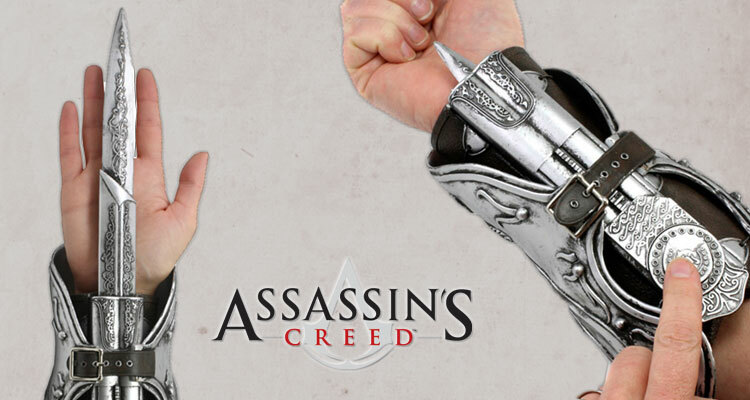 This Assassin’s Creed Gauntlet replica is about as realistic as it gets. 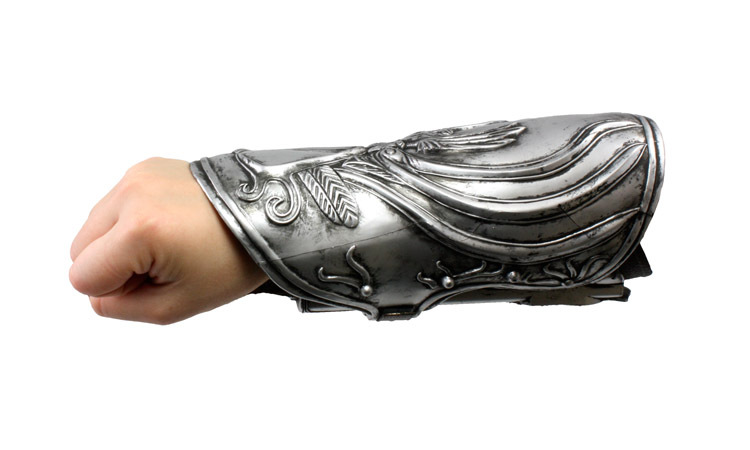 Part of Ezio Auditore’s garments, it perfectly recreates the gauntlet in the Assassin’s Creed series. Exclusive to GameStop in the U.S., but at local retailers everywhere internationally, the Role-Play Gauntlet Replica is available now for preorder. 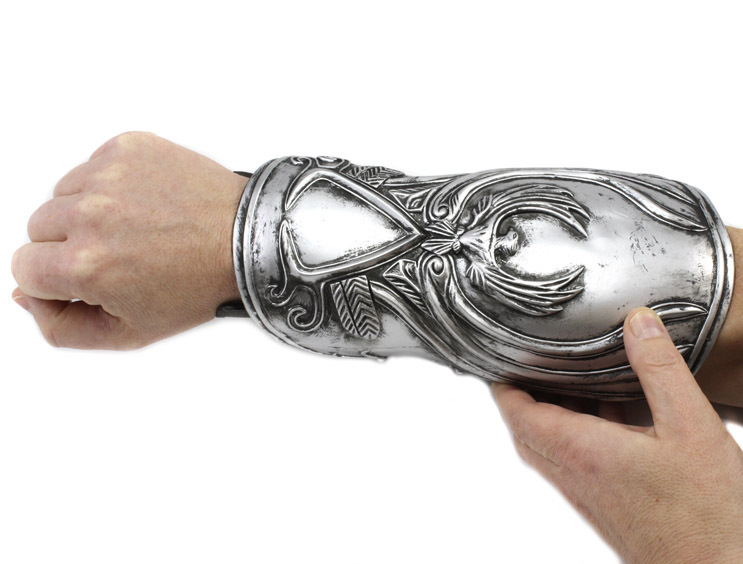 Make sure you don’t miss out by clicking here to preorder your Ezio Auditore Gauntlet! The gauntlet will be released the same day as the forthcoming Assassin’s Creed III: Oct. 30, 2012. 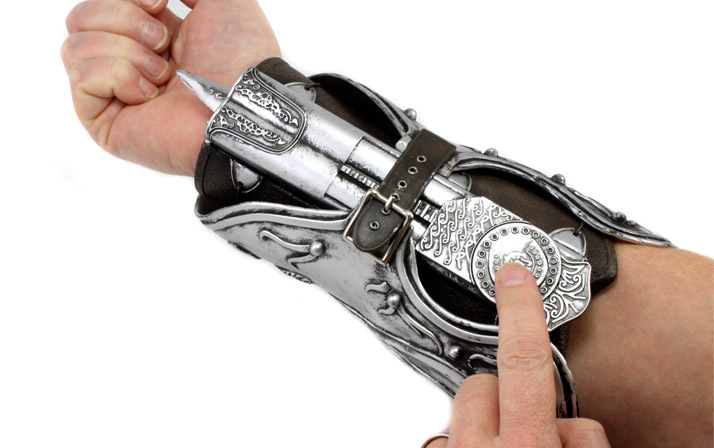 The Assassin’s Creed Ezio Auditore’s Gauntlet Replica is but the latest in a long line of excellent Assassin’s Creed items. It might be the best yet — actually, there’s no “might” about it, it’s the best yet — but don’t forget to hit up our figures: Hooded Onyx Costume Ezio Auditore, Hooded Ivory Costume Ezio Auditore, Unhooded Ivory Ezio, and the replica of DaVinci’s flying machine in which they soar. You know with the third numbered game in the series on the way this fall (and set in the American Revolution! ), we’ll have much more to come on Assassin’s Creed, so while you wait for your just preordered Gauntlet to arrive, make sure you keep it tuned to NECAOnline for news and updates on the ongoing adventures of Mr. Auditore and all your favorite games, movies and more!